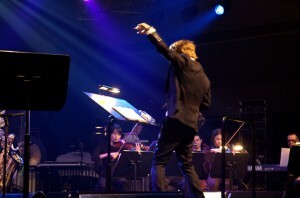 JG Thirlwell | Steroid Maximus live in New York! Steroid Maximus live in New York! 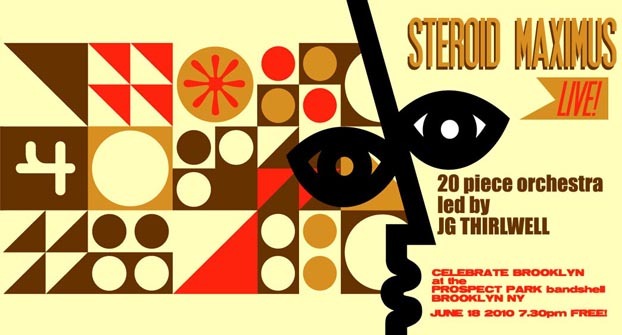 JG Thirlwell will be performing his Steroid Maximus project as a twenty piece band with brass section and strings at Prospect Park for the Celebrate Brooklyn Festival on June 18. Steroid Maximus will be performing the Ectopia album and selections from the score of The Venture Bros. Rain or shine, and it’s free - mark your calendars for this once-in-a-lifetime show! JG will be joined by long-time colleague Steven Bernstein as musical director and on trumpet; the rest of the musicians will be announced shortly. Dr Lonnie Smith will support.